Looks like a newly emerged Eastern Forktail - nice light on the wings. 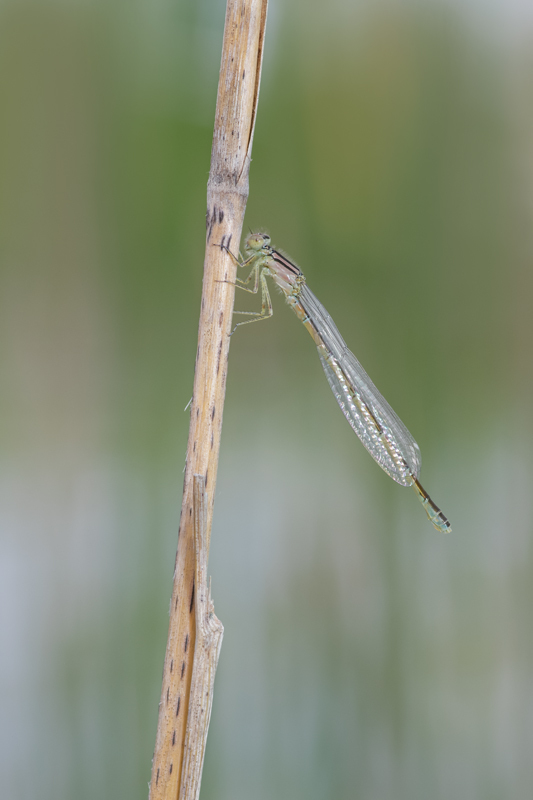 Nice image of young damselfly. simple composition and details. Lovely composition and gleam in the wings-a beautifully captured moment.